Spring Stuebner Road, Segment C — Binkley & Barfield, Inc.
BBI was selected by Harris County, Precinct Four to provide engineering design and construction phase services for the reconstruction of Spring Stuebner Road, Segment "C" from 400 feet west of Falvel Road to just west of IH 45 for a total length of approximately 2.4 miles. 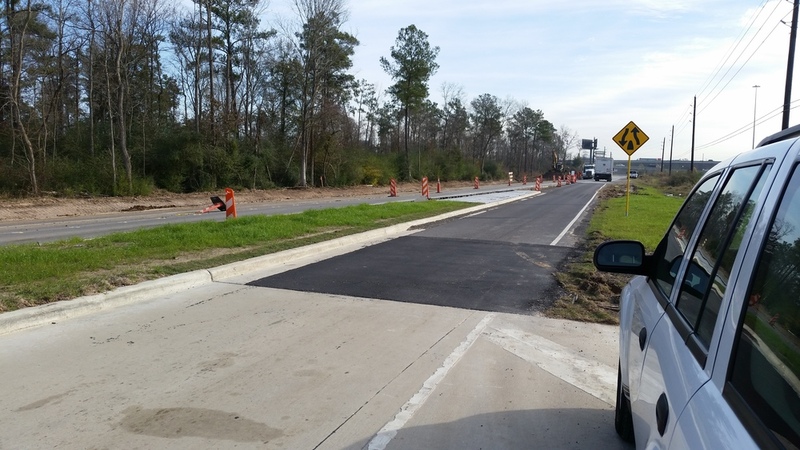 Located in the northern portion of Harris County in unincorporated Spring, Texas, this project is part of a three segment improvement to approximately five miles of roadway within Precinct Four. Coordination with the adjacent design consultants, specifically regarding construction phasing, was imperative for the success of the project. Toward the west end of the project, the adjoining properties on both sides of the roadway are largely developed with single family subdivisions, convenience stores and retail centers. Progressing eastward, the adjoining properties become less developed, consisting mostly of widely spaced individual homesteads, farmland, light industry and a large church on the south side. At the east end of the project, it is mostly wooded, undeveloped land until terminating into the Y-intersection before the IH 45 frontage road. Overall, right-of-way tasks included the verification of existing right-of-way, abstracting, metes and bounds descriptions and recommendation of acquisition of additional right-of-way. 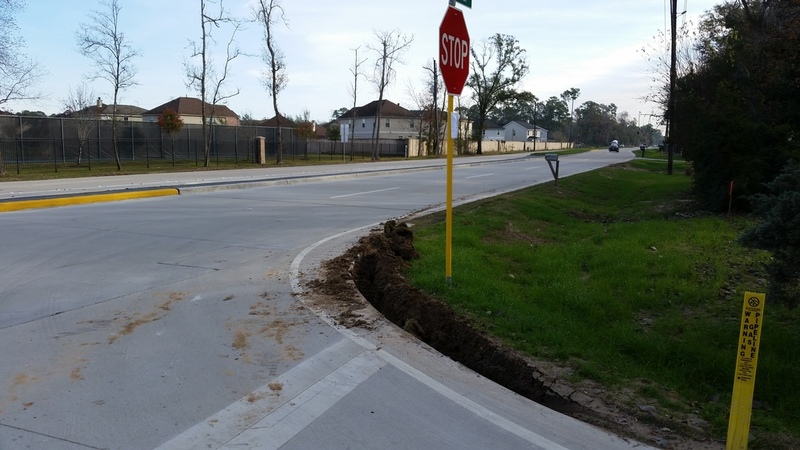 Roadway improvements included the reconstruction of the existing 2-lane asphalt roadway with roadside ditches into a 4-lane divided boulevard with a raised median in most locations, 10-inch thick concrete pavement and outside roadside ditches within a 100-foot right-of-way. Linear detention utilizing a 15-foot drainage easement was utilized on the north side of the project from just west of Windsor Castle Drive to the east end of the project. This portion of the project has a 120-foot right-of-way. Drainage improvements include the design of the detention basin and outfall design as well as channel improvements for HCFCD Channel K124-02-00. 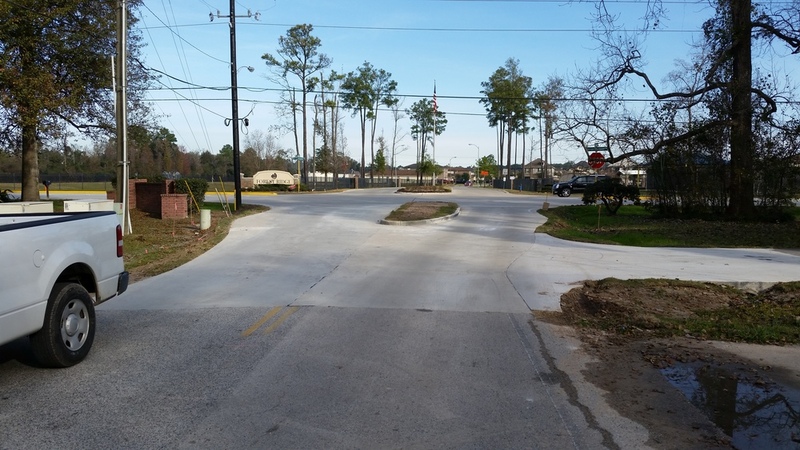 Crossing structures, outfalls and detention as required to mitigate roadway and channel improvements were also constructed at HCFCD Channel K120-03-00 and the new outfall channel constructed near the east end of the project. The signalization of the Falvel and Roseville intersections along with pedestrian elements, pavement markings, traffic control, SWPPP and SWQMP utilizing floatable collection screens were also part of the project scope.